Do you feel like stress, anxiety and depression are part of your life, I can help. Would you like to feel better. I can help. Click on the picture of the, oh so cute baby, for details of the next classes! Hi, I am a counsellor in Loughborough. I live and work in Loughborough and cover local villages including Leicester. I am a fully qualified and certified counsellor and member of BACP. I am qualified and certified hypnobirthing practioner. I am qualified and certified fertility specialist. I am qualified and certified Post Natal Treatment Specialist. I am a trainee Psychotherapist and trainee member of UKCP. My mission in life is not merely to survive, but to thrive; and to do so with some passion, some compassion and some style. If you feel life is getting on top of you and your relationships are not satisfactory and making you unhappy, counselling can work for you. It can give you the space to work out what is right for you. If you feel you lack the self esteem to get what you want, again counselling can help. 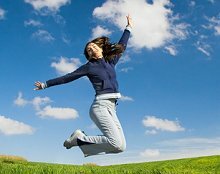 By setting goals and using CBT techniques to attain them, you can start to focus on what you are great at and self esteem can rise. If you feel you suffer with anxiety, or social anxiety, counselling can help to isolate situations to work on and find a way to reconnect with yourself. I am in a Private Practice as a counsellor and therapist, in Loughborough, near Leicester. I am committed to providing counselling in Loughborough in a safe, confidential and non-judgemental environment. I take confidentiality very seriously and it is a priority that you feel safe. As a counsellor in Loughborough and Leicester I work with individuals on an open-ended basis or for an agreed time period, with the aim of enabling you to enhance your life and to live it more fully. We can do just one session and can get results right away, however, your commitment is important. 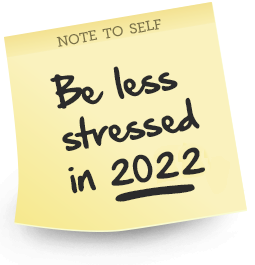 During our first counselling session we will work on a contract, which basically sets up how many session, what the cost is, how to pay, how to cancel and appointment times. Confidentiality and any other issues will also be discussed. Get in touch via email of telephone for a free consultation. Sessions are charged at £40. For any counselling in Loughborough, my practice is within easy reach of surrounding villages, it is also very close to the Train Station and town center. I am close to major road links too, M1, M69 and A50. As a counsellor in Loughborough I am a member of the BACP (British Association for Counselling and Psychotherapy) and display their badge to verify this. My membership means that you can be assured of my suitability as a counsellor and my qualifications. I have undertaken their Certificate of Proficiency to further prove my therapist skills, it is also an added requirement for all counsellors and therapists who are members of the BACP. I am listed on their Directory "it's good to talk". I am also a trainee member of UKCP (United Kingdom Council for Psychotherapists) and am listed on their Directory as a trainee psychotherapist. If you require directions for my counselling practice in Loughborough please send an email using the above button. I am aware of diversity and discrimination issues and follow the Equality Act 2010. I will act with appropriate and reasonable action and make adjustments where required if you feel discrimination or you have been treated unfairly. I will make it a priority to ask if my clients have any requirements. I urge you to get in touch if you feel that I have not met this standard. 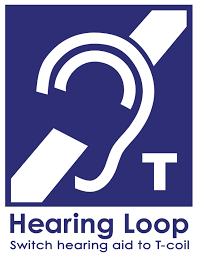 I have a hearing loop if required, no need to ask it is readily available. I am making it my mission that I will bring to your counselling my complete honest attention, I will listen, not only with my ears, but also my head and heart. I will bring honesty and congruence and I will always be present in the room with you. I will endeavour to create a place of safety so you can unload, cry, shout, whimper about all the things you want, and need, to. All that is asked of you, is that you are you, and you want to use therapy to work through the tough times. I am also qualified to offer Hypnosis with my counselling work. What can hypnosis do? time distortion and critical factor bypass. I offer Fertility treatment using hypnosis. This has been proven to increase success with infertility and other associated problems like endometriosis. I also offer a package of treatment to assist ivf treatment, this has also been proven with research to back up the claims. Depression, Anxiety, Trauma and Post Natal Depression are all treatable in their own right. Post Natal Depression is a very serious illness and can develop rapidly post birth, without any prior suffering. Click on my logo below to take you to information about Post Natal Depression and the treatment that is available. If you suffer with panic attacks there is useful information on the Anxiety tab. Therapy can help to deal with panic attacks, which can feel like they stop your life. I work with people who have suffered sexual abuse as a child (csa), I am fully trained to deal with the trauma this can cause, sometimes physical and mental problems. Adults can be sexually abused, assaulted or raped, both men and women. I work with survivors and victims. Hypnobirthing is a way to avoid Post Natal Depression, I run hypnobirthing courses and publish dates on the Hypnobirthing tab and on my Facebook page. Hypnobirthing classes are available, you can find out how to assist yourself with the birth of your baby. Hypnobirthing is a way of utilising what your mind and your body already have, and your baby too. Confidence in yourself and you body is very important. You can pay via Cash, BACS, chip and pin or Paypal. I offer discounts, although there are limited places, always check first. I have a degree (BSc Hons) in Human Communication with Honors, a Certificate in Counselling and a Diploma in Counselling. I am a fully qualified counselor and a member of the BACP (British Association for Counsellors and Psychotherapy) and also on the Register for Counsellors and Psychotherapists maintained by the BACP. I am a trainee member of UKCP (United Kingdom Council for Psychotherapist) and trainee a Psychotherapist. I am continuously learning and developing myself and expanding my knowledge, which is a criteria of the BACP and UKCP, it also benefits clients. I have successfully completed a course with the National Hypnosis and Psychotherapy College which enables me to use hypnosis with my counselling clients. I am a certified Hypnobirthing teacher, a Fertility hypnosis treatment specialist and a Post Natal hypnosis Treatment specialist. I am currently studying Mindful Mental Health with the Center of Excellence. Yes, but they cannot be part of your therapy and in the same room. We can discuss this situation in the initial email contact. Send an email or call me on the number provided. I will be in touch via email within 4 hours. If I do not answer my phone, leave a message and I will call you back within 4 hours. Make a contact email and I can book you an appointment at your convenience, subject to availability. New experiences can feel quite frightening to us all, no matter what they are. I have created a safe and relaxing environment for your comfort. How many sessions can I have or do I need? We will have a discussion about what your therapeutic goals are and what you need. Therapy goals are mainly about the changes you want to have in your life, for example; "I would like to get a new job", or "I want to feel less anxious" or "I want to get pregnant". We can also measure goals and get an indication of when they have been met. Counselling is a way of exploring yourself with a therapist/counsellor to navigate the paths of your mind and all the traffic that moves within it, sometimes crashing, causing chaos and turmoil within. Counselling can help you to live the life that is right for you. I can facilitate this with support and gentle challenges to beliefs that may not suit you or your life, but may be imposed by cultural or societal rules or morals. We can also explore life choices, are they right for you or do they cause you pain? I can help you find your voice, if it is lost or just a little quieter than you want it to be so it may not be heard by those who you want to hear it. As a therapist I practice a mainly Person Centered approach to counselling and therapy. This means that I follow the theories of Carl Rogers; the client leads the therapy, I am there for you and whatever you want to talk about in the session. The core beliefs in Person Centered theory are Congruence, Empathy and Unconditional Positive Regard. I will bring these to the therapy space and also offer insight and genuine reaction to whatever you are talking about. I find starting therapy with your initial problem and then, unfolding to your life experience, can help the flow. 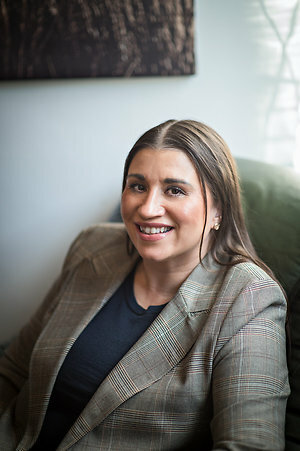 I am also able to use other disciplines in my practice, such as Cognitive Behavioral Therapy (CBT), Gestalt Therapy, Transactional Analysis and Freudian Therapy, know as Psychoanalysis. I will make suggestions based on these disciplines that I feel will be of benefit. 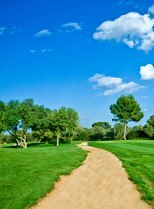 Counselling and therapy can help with all manner of situations, we can discuss any issues or problems you are facing. Sometimes just talking can give a clarity to help face the immediate situation. Recently, the NICE Guidelines approved the use of Counselling to help with Depression within the NHS, this is very positive for counselling. I do have specialties, and can refer on if I feel I have reached my limitations, rest assured your comfort is of utmost importance. The counselling journey will not be an easy one, it is hard work, but the outcome can make a confused, unhappy and distressed person feel happy, carefree and jubilant! 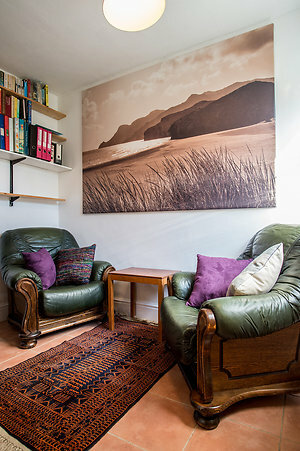 This is my Counselling Room, a space created for my clients to be and feel who they are, without judgement. We can use this space to create the perfect environment to make changes. Hypnosis is something we already are in possession of, for example watching tv totally engrossed in your favorite Soap, you have entered a hypnotic state. Adverts on the telly take full advantage of this and make suggestion to you to make you buy their product. I ask that your first session is paid for 24 hours before the session. I will provide details of how to do this safely and securely. This is to confirm your booking.